Some might call them “mean” prayers. I started with my pastor. I prayed he would be completely overcome with a burning passion for preaching Christ. A passion he would be incapable of ignoring. I prayed that he would find no rest until he abandoned his will and his view of “effective” preaching and succumbed to that passion. I prayed that a desire to preach Christ would keep him up at night. I desperately begged the Holy Spirit to pursue him relentlessly. 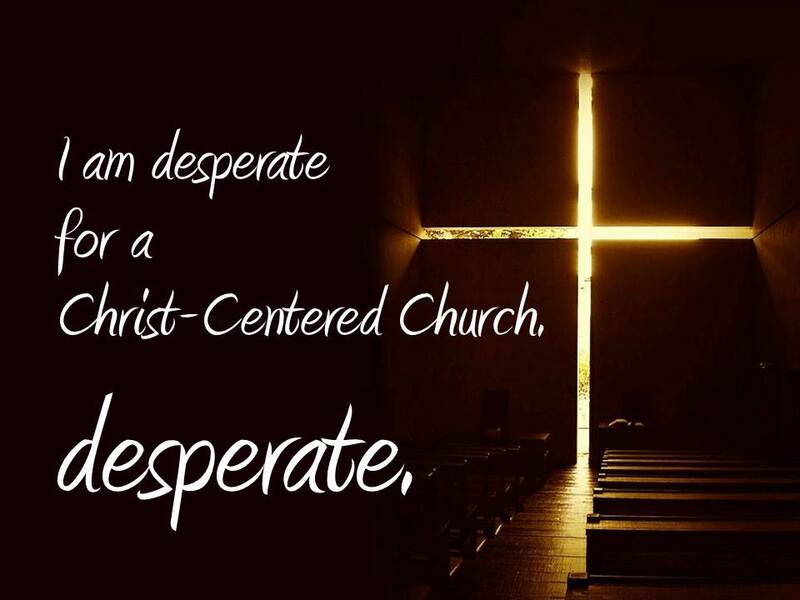 I prayed that God would inundate him with irrefutable evidence of a continuous need to preach Christ – from every direction; through every person he encountered, everything he read, everything he saw – from emails to bumper stickers. I prayed for him to find no escape. I prayed for him to be profoundly brokenhearted at the realization that some of the people God had entrusted him to lead did not know Christ personally. I prayed that my pastor would be wrecked. And that he would find no relief from the wrecking except by preaching Christ. I prayed for each individual members of the congregation. I thanked God for the people in the congregation who had received salvation by grace through faith in Christ. I begged God to remind those who had forgotten Him – like I had. and I begged Him to move in the hearts and minds of those people who had never received salvation by grace through faith in Christ. I prayed that every. single. member of the congregation would be dissatisfied. I prayed that people would be afflicted by an unquenchable hunger for more than the milk they were being fed. I prayed they would develop an insatiable hankering for the meat of the gospel. – affirmation that service to others was the ultimate demonstration of a commitment to God. I prayed that people would never again use the word “enjoy” to describe their reaction to a sermon they heard, but would instead find themselves convicted, moved, inspired and personally challenged. I prayed that God would tell me what to do! 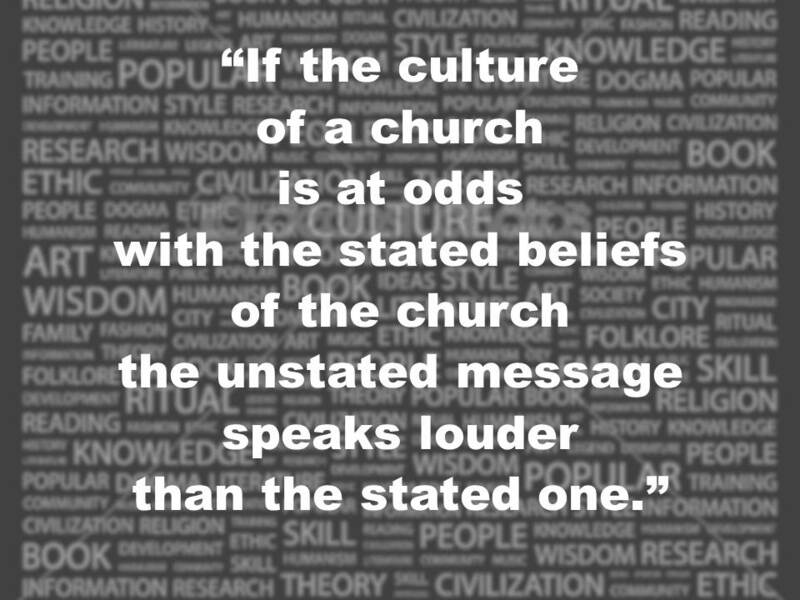 Should I leave the church or stay and continue to strive for something nobody else seemed to want? I seemed to be in a tiny little minority. Other than a handful of people, nobody else seemed to notice. There were definitely not too many of us. If God were to move, all the glory would be His. And as I prayed all of this, I doubted. Not that God could, but that God would. Because although it grieved him, the father allowed his prodigal son to leave. The father didn’t go after him and force him to come home against his will. And the son, believing he knew what was best for himself, did not return. Why didn’t I go to my pastor? On two occasions. It had not gone well. As a result of those two encounters, I decided to pray about it instead of continuing to try and work things out on my own. Because I believe in the power of prayer. I wish I could say I always approach prayer as my first line of defense instead of my last resort. I really, REALLY wish I could say that. But I can’t. Even though I do believe God can do ANYthing. I was praying for God to move in my pastor’s life; for God to inspire him to preach Christ. Because God can do ANYthing. and if He chooses not to, who am I to manipulate circumstances to fit my view of how things should be? So I begged God to tell me if He wanted me to stay and serve in spite of my longing to hear the name of Jesus proclaimed as the way and the truth and the light. I prayed all these things and more as I sat alone with God in that empty sanctuary. And then I sat. Silent. I had come into the sanctuary that autumn morning to pray for revival in my church. For direction. No less confused about what God wanted me to do. And I continued to pray. Like a widow. persistently. This post is the fourth in a multi-part series, written mostly in early autumn 2012, published now for the first time. I attended a workshop with Eric Geiger last year. I am concerned about you and your frustrations. Let’s meet for coffee. Your prayers contain the assumption that only you have the real truth and the true expression of the word of God. There is no room in your prayers for God to change your heart, only for God to change the hearts of others. I think silence is the only appropriate response to that.